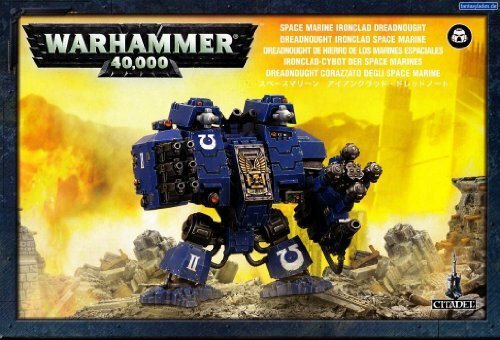 Space Marine Ironclad Dreadnought - Warhammer 40k - Games Workshop. Space Marine Ironclad Dreadnought - Warhammer 40k - Games Workshop. Supplied unassembled and unpainted. Paints and glue NOT included.